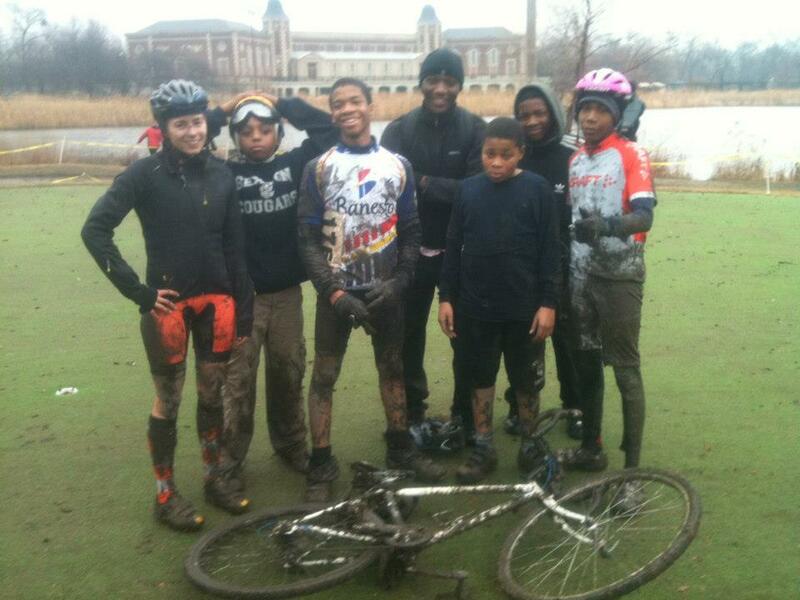 With the increased license fees for the 2014 USA Cycling season, Chicago Cuttin’ Crew and ROBOTS <3’s fundraising initiative aspires to increase donations to Blackstone Bicycle Works and West Town Bikes. Chicago, IL (December 2, 2013) -- For a fourth year, Chicago Cuttin’ Crew and ROBOTS <3 have partnered to bring Afterglow - A Cyclocross Race to the Douglas Park Golf Course in Chicago on December 21, 2013. Pre-registration is available at www.bikereg.com/Afterglow, and day-of registration will open at 9:00 am. Like last year, proceeds from the race directly benefit two Chicago youth cycling not-for-profit programs, Blackstone Bicycle Works in the Woodlawn neighborhood and West Town Bikes in the Humboldt Park neighborhood. Blackstone and WTB were able to use last year’s race donations for their youth racing clubs, working with youth between the ages of 10-18. Both clubs aim to practice teamwork and sportsmanship; promote fitness and healthy lifestyle habits; and provide sponsorship, mentorship, and coaching to underrepresented populations in the cycling community who would not otherwise have the opportunity to participate in cyclocross events. Blackstone and WTB use the donations for team registration, USAC insurance, USAC licenses, race/practice food and nutrition, and race registration. Nearly a third of the donations from Afterglow offset Blackstone and WTB’s youth USA Cycling licenses. For the 2014 racing season, USA Cycling plans to implement a 50% increase to the one-day license fee and a 16% increase to the annual license fee. This increase will be yet another challenge these youth will face in participating in competitive cyclocross events. Afterglow seeks to provide even more fiscal support through donations in order for Blackstone and WTB to continue their mission of making cyclocross bike racing an accessible option for their youth, benefiting not only the youth involved, but the cyclocross community by creating diversity and providing a broader perspective. For additional information on Afterglow - A Cyclocross Race, visit www.bikereg.com/Afterglow. Donations for Blackstone Bicycle Works and West Town Bikes will be accepted at BikeReg and on site at the race. All the single (speed) ladies!